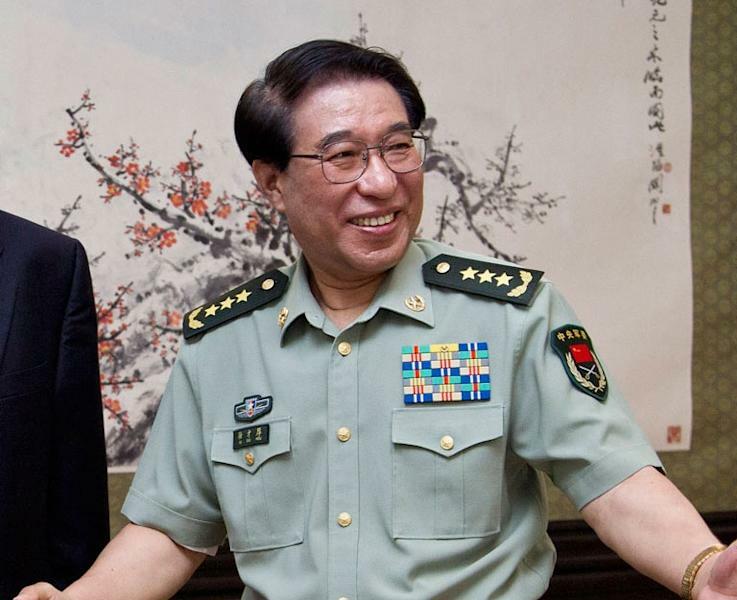 Beijing (AFP) - The highest-ranking Chinese military officer to fall victim to President Xi Jinping's anti-corruption drive has died of cancer, official media reported Monday, heaping opprobrium on his memory. Xu Caihou rose to become the second most senior officer in the 2.3 million-strong People's Liberation Army as vice-chairman of the Central Military Commission, and a member of the Communist Party's 25-strong Politburo. He retired from the military in 2013 but was put under investigation last year and later expelled from the ruling party, stripped of his general's rank and handed to judicial authorities for prosecution, although his death forestalls the possibility of a lurid trial. Xu died of bladder cancer on Sunday, the official news agency Xinhua said. He was 71. "Xu Caihou, the once-celebrated general who because of corruption lost both fortune and honour, ended his pathetic and shameful life on a sickbed under supervision," the PLA Daily wrote in a bylined commentary. Xinhua said he had taken advantage of his position to assist others and accepted a "huge amount of bribes personally and through his family". Military prosecutors will "deal with his illegal gains according to law", it cited a statement as saying. Since coming to power more than two years ago Xi Jinping has sought to impose himself on China's military, one of the targets of his wide-ranging anti-corruption drive. Xu was the highest-ranking military "tiger" to be brought down, although critics say that without systemic reforms the campaign risks being used for political faction-fighting. The deputy Communist chief of Yunnan province, Qiu He, was put under investigation at the weekend, the ruling party's internal watchdog said after the close of the annual session of the National People's Congress, China's rubber-stamp parliament. Xu Jianyi, the chairman and party secretary of one of the country's biggest automakers FAW, was also placed under investigation Sunday. The founding father of Communist China, Mao Zedong, said that power comes from the barrel of a gun, and senior officials and state-run media frequently exhort the military to follow the Party's leadership. Questions over whether the PLA should become an army of the country rather than of the party have mounted in recent years. 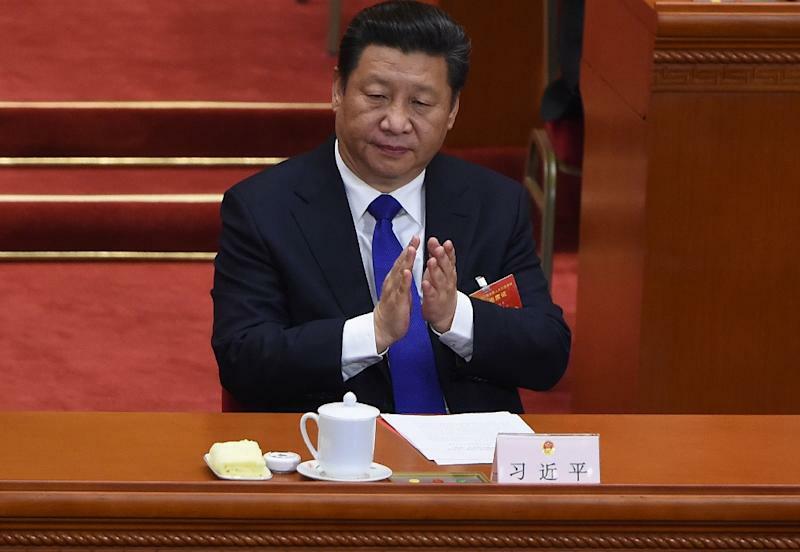 But Xi made it clear last November that such a change was off the agenda, stressing the "important role of political work" at a meeting in Gutian, a former revolutionary base where Mao imposed himself on the party's "Fourth Army" in 1929. As well as being the world's largest active military, a vast network of businesses are linked to China's armed forces -- so extensive that academics have dubbed it "PLA Inc". 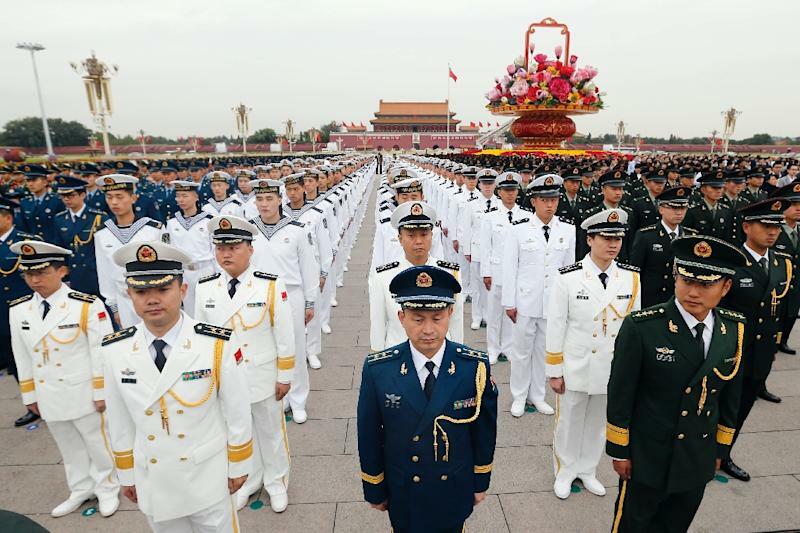 Beijing unveiled the latest annual double-digit increase in its military budget this month, taking the official figure to 887 billion yuan ($142 billion), although analysts believe spending is significantly higher than publicised. Experts say the money has brought with it more opportunities for corruption. Since Xu's fall there have been multiple reports of his wrongdoing, including allegations of promotions being sold for tens of millions of yuan. When an anti-graft team investigated the basement of Xu's 2,000-square-metre mansion in central Beijing, they discovered "a mountain of cash", jewels, paintings and antiques, according to Hong Kong-based magazine Phoenix Weekly. Hong Kong- and Taiwan-based media have speculated that Xu -- along with disgraced former officials Zhou Yongkang, Bo Xilai and Ling Jihua -- had formed a political faction opposed to Xi. The alleged cabal has been dubbed the "New Gang of Four", a reference to the infamous quartet including Mao's widow who were put on trial in 1980. In a commentary last October, the PLA Daily hailed authorities' move to investigate Xu in spite of his illness, and it maintained Monday that the army "actively carried out Xu's medical treatment and care" while he was under investigation. "But, faced with a patient who was beyond cure, medicine could not save his body, and morality could not save his life," it wrote.